Our Digital Marketing Masterclass will get you on the path to become a savvy digital marketer, with all the essential tools to plan, run and manage an effective online advertising campaigns, tracking metrics and KPIs. A comprehensive 10-week Digital Marketing Course that is both strategic & hands-on tactical with globally recognized platforms such as Google Adwords & Analytics, Facebook, Linkedin, Twitter, MailChimp, Unbounce, Instapage among other Digital Marketing skills. Our digital marketing course will get you on the path to become a digital marketer with a performance and content marketing mindset, plus a focus on generating actionable insights from data analytics. You will learn how to effectively implement Growth Hacking, retention and engagement strategies. In addition, our program covers everything relating to Google Adwords, Search Engine Optimization (SEO) and email Marketing automation. Grow business sales and revenue faster. Start and grow your digital marketing agency. Get a well paid job in the digital marketing field. With over a decade of experience in corporate, agency and startup environments, Michael brings a deep passion to the ever-evolving field of performance marketing. He has an expertise in performance marketing channels ranging from search engine marketing, social media, display advertising, email among other marketing verticals. He’s created and led multi-million dollar digital marketing campaigns for clients across different industry such as retail, consumer packaged goods, TV and entertainment, education, and travel and tourism. 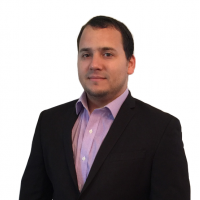 A native of Colombia, he has an expertise in the Latin American, US Hispanic and general US markets. Mike is a sought-after teacher, mentor and coach who has led dozens of trainings and seminars on specialized topics in digital marketing. Questions? Give our Admissions Director a call!